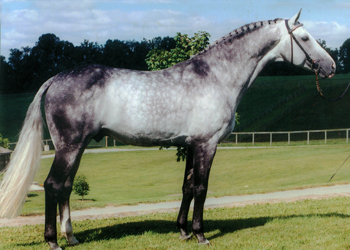 In 2007 we were looking to infuse some new blood into our breeding program, and turned to Sherry Smith of Dogwood Sport Horses in Atlanta, Georgia. 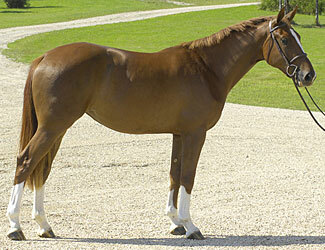 There we bought Chaviva, a 2007 registered KWPN mare by Voltaire out of Parvita by Riverman. 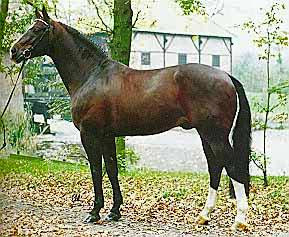 Chaviva is tall, scopey, athletic and brave. She is currently in Wellington, Florida until the end of January and has made her jumper debut in the Training Jumper division. We have high hopes for this lady and think that she is a top jumper prospect. Check out this video of Chaviva last week! Chaviva is for sale and is available to be tried in Wellington until the end of January.